Be the Star that You are! 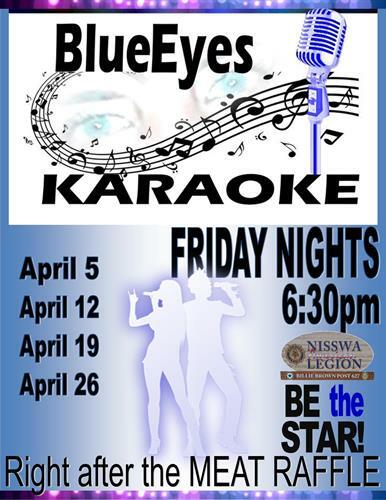 BlueEyes Karaoke plays through a wide genre for all to enjoy. Whether you like to sing Old or New Country, Old or New Rock, Pop, or Frank Sinatra the crowd is here to cheer you on! Every week there are new singers that amaze the crowd with their talent and vocals. BlueEyes will help you out if it's your first time and you are nervous! It's like a big family get together at the Nisswa Legion!